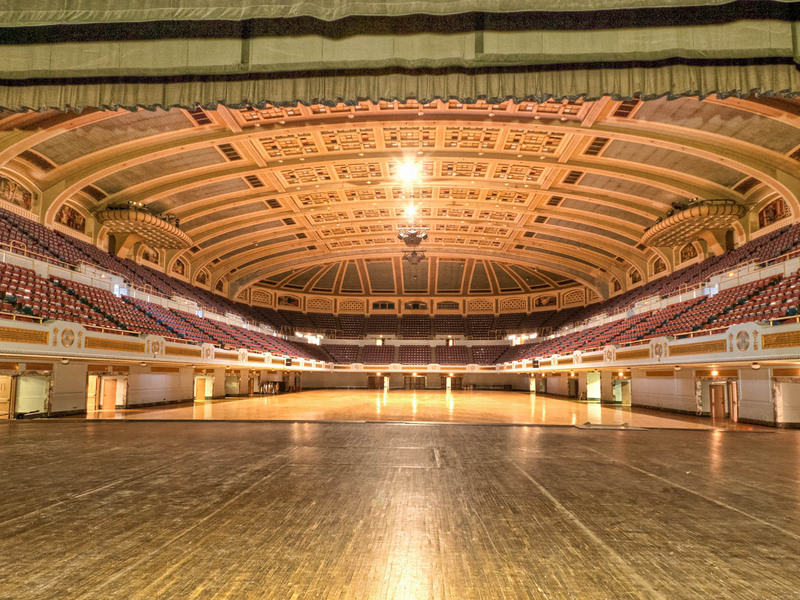 Imagine it’s September 15, 1964 and you are at Cleveland Public Auditorium, standing right here on the spot this photo was taken. You would be looking out into a crowd of 12,000 screaming Beatles fans. The fans rushed the stage and the police had to come onto the stage and stop the show. The show eventually continued but the police chief threatened to cancel the show for good if anyone got out of their chairs. This entry was posted on Friday, January 13th, 2012 at 9:46 am. You can follow any responses to this entry through the RSS 2.0 feed. You can leave a response, or trackback from your own site.